Today we're finally releasing "Seraphim", a 10-song CD by the band we were before we were the Austerity Program. I've been working on this record in earnest for the past few years now and it is an odd feeling to finally release to the world. I do think that it sounds as relevant today as it did the day that we wrote it. But don't get me wrong, I'm not saying it's timeless and enduring; I'm saying it sounded weird while we were doing it and it sounds weird now. This is the benefit of running your own label, though. If you put in the work, you can make time to give something like this to the world. Well, world: here's the metal band that used to be Thad, me and the drum machine. I'm about 3/4 of the way finished reading the manual for the new drum machine. Sakes alive the things you can do with a computer these days. 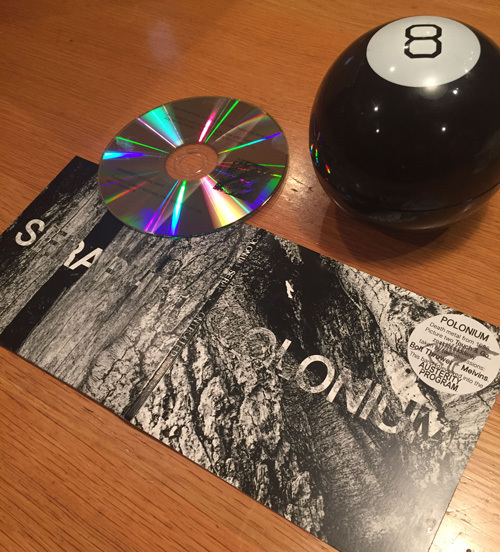 "Hey Magic 8-Ball, are we going to be looking at 278 of these CDs in my basement this time next year?"